← My New Bling and Pinspiration! So I’m sure that you’ve heard but New England got blasted with snow this past weekend. Maine is snow country but even we broke records over the weekend! Portland got almost 32 inches of snow. 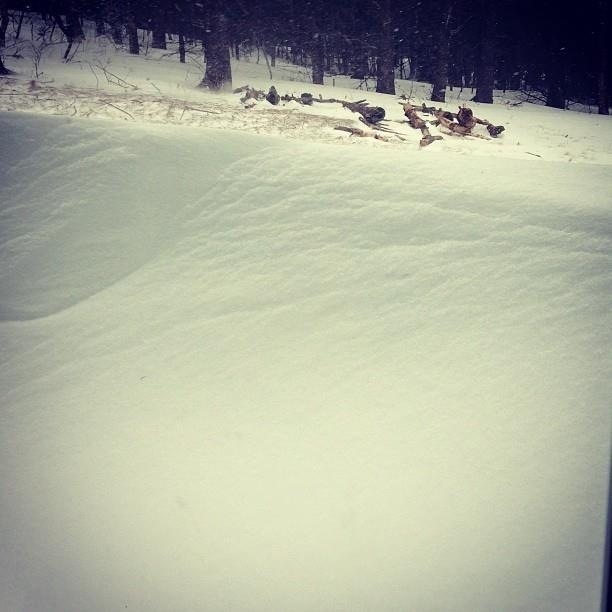 If you haven’t seen enough snow pictures from the various social networks, here’s the view out of my back window. This blizzard really shut down New England, but a lot of the weddings, at least those in the news, went on as planned! How do you make the best of a blizzard-y situation? Well I gotta say, it has to be pretty hard to brave a storm like the one we just had! 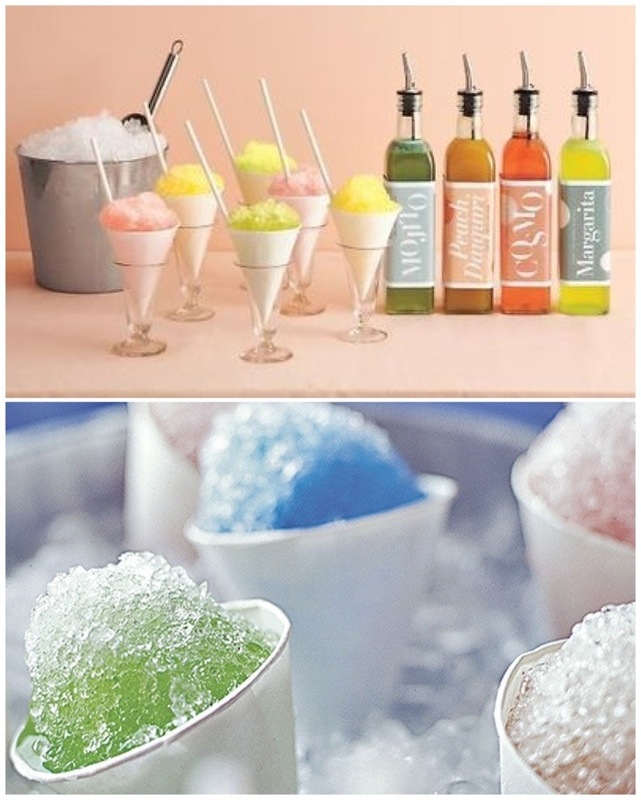 But one thing I’ve always wanted to do is make real snow snow cones! Now lots of people would think it’s weird to want to eat snow cones in the snow, because…cold…but I think I love cold things in the winter most…not sure why! Consider a fresh snow cone on your special day, especially if you can grab it right from outside! Wow, I’ve never seen snow like you guys just had! I went pretty north in New York State once for a week and enjoyed some great snow but nothing like this. How long until you were able to dig yourselves out? And how on Earth could someone still go through with a wedding in those kind of conditions?!! I guess when it’s your day, it’s your day and no weather conditions are going to get in the way of your wedding march! Glad you got through it. It was pretty awful. Thankfully our tax dollars were put to good use, as soon as the storm was over, the roads were perfectly safe!